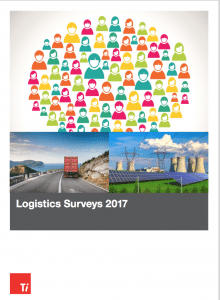 Ti’s latest report, Logistics Surveys 2017, is a collection of primary research reflecting the latest thinking in the market and the views of senior executives within Ti’s Logistics Briefing network. The report provides up to date analysis of the key trends affecting the industry, split into five surveys investigating the freight forwarding, road freight, express and warehousing sectors as well as the increasingly important topic of environment and ethics in logistics. While the individual surveys identify a different set of challenges for each of the logistics markets, disruption was one of the most important trends which was identified across all the segments. In each case, innovation and disruption was regarded as a ‘double-edged’ sword. A large proportion of respondents in the forwarding sector believed that traditional freight forwarders would lose out to new entrants but at the same time saw certain technological innovations as a way of mitigating the impact of increasing costs. The freight forwarding survey also identifies the trade lanes which logistics professionals believe offer the best prospects for volume growth for air and sea freight. In the European road freight survey, respondents reveal which technologies have the greatest potential to transform their business. It may come as a surprise to some that autonomous vehicles were not the runaway winner (they ranked third), perhaps because many respondents took the “believe it when they see it” view, assessing fully driverless trucks as something of a pipe dream. The road freight survey also suggests that the road freight market will witness significant fluctuations in road freight rates in the coming year as well changes in the FTL and LTL split. Overall, the survey identifies where growth opportunities might lie in the European road freight sector, thereby providing input into transforming hauliers’ strategies to align these with the upcoming trends and demand fluctuations. The express industry has already undergone transformation, not least due to the seismic shifts brought about by e-retail. Despite many years of internet shopping, respondents still believe this offers their businesses the best prospects, with strategies still focused on meeting evolving needs. Given the strains which e-commerce can put on the operations of express carriers, how should they best deal with this change in volume mix? 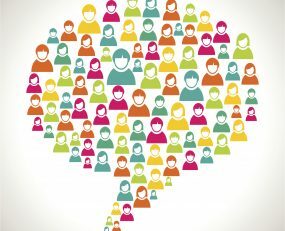 Respondents were asked to rank four options and provide their own views as to how to deal with the increasing volumes and time sensitivity. e-commerce is having an equally important impact on warehousing property. Not only has this trend led to vast investment in new facilities but, according to the survey, smaller locations aimed at distributing e-retail shipments to local consumers are growing in importance. The Environment and Ethics in Logistics survey reveals that sustainability has increased in importance as a corporate priority, largely due to companies’ requirements to comply with government regulations and customer demands. However, according to the survey, other benefits accrue to organisations willing to embrace sustainable strategies. In summary, this report provides a full review of the most important operational issues facing the individual logistics markets as well as the strategies logistics executives adopt to mitigate threats and supply chain disruptions. As such, the report helps to provide independent validation for different business models and insight into how companies can adapt their strategies to be better equipped to deal with evolving risks.